It’s the dawn of a new day with the Marwees! This comfortable and innovative multi-talent is perfect for your next hut hopping or trekking tour and is especially versatile. The Marwees 300 XL DWN has a wide range of use and scores big in terms of detail and sustainable production. 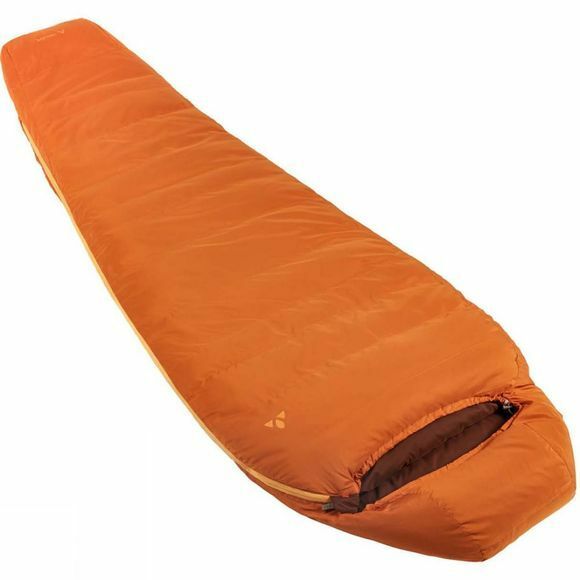 Its recycled, GRS-certified down fill provides a cozy and warm sleeping environment. The bag’s inner lining is luxuriantly smooth: polyester taffeta ensures a comfortable place to sleep, even on long outdoor trips. Its ergonomic zip and warm, cuddly hood that’s perfectly adapted to the needs of tired outdoor sports fans also add to its comfort level and adaptability. This makes the Marwees 300 DWN a real multi-talent and is perfect as a compact and lightweight trekking bag for summer that can also be used for transitional seasons. The VAUDE Green Shape label stands for environmentally-friendly, functional products made from sustainable materials.